As a parent, it’s heartbreaking to face the reality that your child’s pathway through the journey of life is paved with a course you never imagined. However, The Emerge Center staff gladly joined our family on this journey as our guides. The staff approached the life changing news that our daughter had moderate to severe bilateral hearing loss with dignity and grace. Emerge fitted our daughter with her initial hearing aids and has since been our go to supplier. We also see them twice a year for hearing exams to follow her hearing loss. 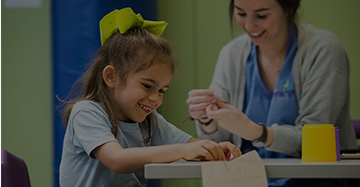 Late last summer, when faced with pushback from the school system in attempts of obtaining services for our daughter, the Emerge audiologists went above and beyond reaching out to local partners to gain insight and valuable information for us to provide to the school district at our IEP and 504 planning meetings. Because of their invaluable knowledge and assistance, our daughter is thriving in a mainstream classroom within the number one school system in the state of Louisiana. She is a gifted student with straight A’s functioning with minimal accommodations, thanks to an FM system and her hearing aids. I am a police officer and its very important that I hear information correctly and understand it the first time it is given. I took a free screening at Emerge, and they told me I had lost some of my high pitch hearing and would be a good candidate for hearing aids. 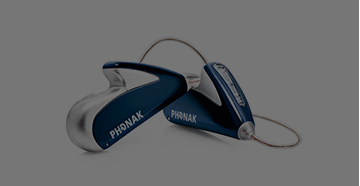 Using these hearing aids has really been a life changing experience for me. I was stunned at how much sound I had been missing. In my home time I like to play the guitar, and the aids have brought the joy of music back to me.